BREAKING. TopTV abruptly ends another 2 TV channels - Top History and Top Crime - as Top Learn changes to Mindset TV at midnight. Another three TopTV TV channels are suddenly ending at midnight tonight without any warning, with both Top Crime (TopTV 155) and Top History (TopTV 301) which will both abruptly cease broadcasting on On Digital Media's (ODM). Meanwhile Top Learn (TopTV 319) will be changing to Mindset TV. With multiple big StarTimes changes afoot after the Chinese TV conglomerate bailed out the struggling ODM earlier this year which has been in business rescue since December 2012, it's now clear that StarTimes likely plans to rid the struggling Woodmead based South African satellite pay-TV operator of the "Top" name - at least insofar as TopTV's own original set of "Top" branded self-compiled TV channels are concerned. It looks increasingly likely that even the "TopTV" name might be changed with the fast dwindling number of "Top" channels, several of which were culled over the past year. ODM confirms what sources have been telling TV with Thinus, which is that both Top Crime and Top History - two of TopTV's remaining self-compiled "Top" channels - will suddenly be no more from midnight on Monday night. Channel 319 will continue but Top Learn on 319 is changing to Mindset TV. No specific reason is forthcoming about why Top Crime and Top History are being canned, but sources are saying that ODM will make replacement channels available, although sources say possible replacement channels will not necessarrily be in the "crime" and "history" genres. With the bulk of the previously yanked channels, TopTV has also said replacement channels will be provided although it has only happened over the past two years with a small number of TV channels. For the most part TopTV subscribers have been left waiting and wanting. TopTV confirmed to me that Top Crime and Top History is ending on Monday night, saying "this is to do with the many changes that are currently taking place within TopTV while new plans are being put in place". TopTV subscribers will not miss Top Crime. The much derided channel, criticised for it stale fair the past three years has not added any new programming to the schedule since TopTV launched in May 2010, opting to show the same series over and over again, restarting seasons of shows after a couple of month, every few months. Sony Entertainment Television to spook it up on 31 October with special Halloween programming. Sony Entertainment Television (DStv 127) is set to spook it up on 31 October, Halloween, with special scare-themed programming for the evening, with special episodes of Friends, Frasier, CSI and others as well as the Sleepy Hollow movie. The Halloween programming kicks off on SET on 31 October with Trisha, in which the talk show episode will look at "shocking psychic readings". Phoebe meets her twin's fiance at Monica's Halloween party in Friends at 19:05 on SET. Bulldog plays a prank on Frasier in Frasier at 19:30 on SET on 31 October, followed by the movie Sleepy Hollow. 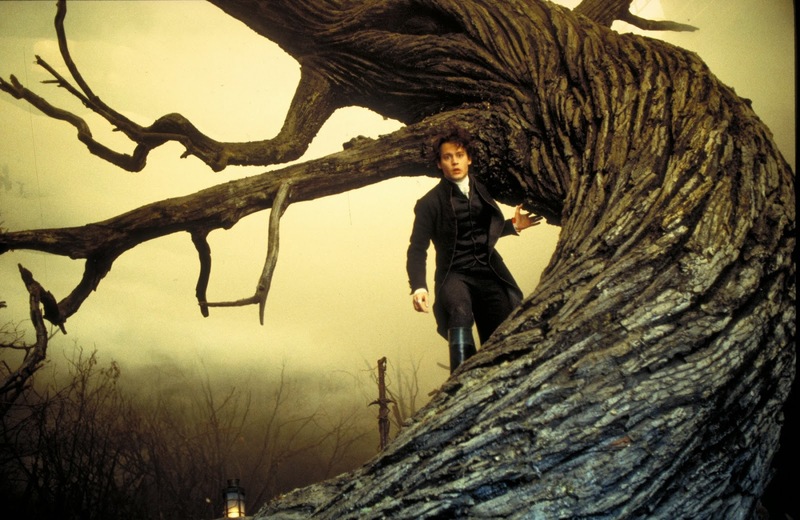 Ichabod Crane (Johnny Depp) is sent to the town of Sleepy Hollow to investigate decapitations, only to discover the Headless Horseman is responsible. CSI will cap the evening of SET's Halloween programming on 31 October with an episode in which a case from Catherine's past resurfaces. BREAKING. As e.tv becomes a high definition channel, broadcaster switches to HD format; filming all local content in HD from now on. As e.tv had prepared the past months to switch South Africa's only commercial free-to-air TV channe to a high definition (HD) TV channel, it is now changing its broadcast format from standard definition (SD) to HD and will commission, and see delivered and produced, all of its local South African TV content in the HD format. In addition from now on e.tv will also only acquire rights to TV content available in HD, or where it's not possible upscale the content to close to HD quality. It's not yet clear when, or whether, MultiChoice will be upgrading e.tv's channel status to the e.tv HD channel in the way it did with M-Net which switched to M-Net HD. e.tv HD will however roll out and be seen in HD first on Platco Digital's OpenView HD (OVHD) direct-to-home (DTH) satellite platform from 15 October when OVHD goes on sale in South Africa. e.tv, from Sabido Investments, which is turning 15 years old, says the switch from SD to HD is necessitated by remaining and keeping up with the international TV standard and that e.tv needs to remain on par with international television broadcasting benchmarks. "Ons has to simply look at the growth in sales of HD television sets in the country to see the need to deliver quality and entertaining television to the broader South African market [in HD]," Monde Twala, e.tv's group head of channels tells TV with Thinus. "e.tv is extremely excited to be able to offer our viewers the best available quality content. The channel has changed its broadcast format from SD to HD. From October all our locally commissioned content will be delivered and produced in the HD format. This includes all international content such as movies, kids' animation and series," says Monde Twala. He says "HD content will be phased in over a period, across all our themed channels." "Content that is not filmed in HD will be upgraded to HD as it is a standard for HD broadcasters worldwide," says Monde Twala. "We are working closely with the production sector and international suppliers to ensure that we deliver a better and improved quality picture for our market." "This also means that the TV consumers in South Africa will be the ultimate winners." e.tv as a broadcaster now joins MultiChoice as a pay-TV provider in providing an HD offering to South African viewers. The SABC and On Digital Media (ODM) running the struggling TopTV satellite pay-TV service only have SD channels and are lagging behind in rolling out channels in high definition. ALSO READ: e.tv officially unveils its additional 4 further "+" TV channels; says 'viewers have inspired us to think beyond just one channel". BREAKING. e.tv officially unveils its additional 4 further '+' channels, says 'viewers have inspired us to think beyond having just one channel'. Here's the channel logo's of the four new TV channels from the e.tv stable - eKasi+, eToonz+, eMovies+ and eAfrica+ - which e.tv officially launched at a press event tonight in Johannesburg and which will start broadcasting from 15 October on Platco Digital's OpenView HD (OVHD). e.tv as a broadcaster is launching eKasi+,eToonz+, eMovies+ and eAfrica+ as new sister channels as the first of its planned set of TV channels for digital terrestrial television (DTT). e.tv, the SABC and M-Net plan to each roll out their own collections of additional TV channels in South Africa eventually. Since government incompetence and industry infighting has long-delayed the digital switch-over process known as digital migration, e.tv is launching its first 4 additional free-to-air TV channels on OpenView HD, although the channels will become publicly available to all viewers once DTT starts. e.tv, tired, frustrated and becoming increasingly scared over it's inability to grow its potential market share and possible diminishing returns on its existing market which could evaporate in the face of ongoing TV channel and audience fragmentation in South Africa, decided to no longer wait for DTT but to forge ahead and start launching its additional channels. The commercial e.tv is currently boxed in between the aspirational pay-TV services from M-Net, M-M-Net's growing number of "Mzansi" themed TV channels targeting South Africa's growing middle class black viewers, and MultiChoice's general DStv pay-TV offering all on the one side; and the bulk but bad and cheap SABC on the other side which isn't making or having to make a profit and is too big to fail, getting government bail-outs. e.tv is now gearing up to unashamedly gun for Mzansi's black viewers - aspirational, upmarket black viewers in South Africa who are tired of the SABC's shoddy service as a public broadcaster but who haven't yet switched to pay television, or wants more better alternatives despite the current available choices on offer through DStv and TopTV. Sabido is pumping millions into the start-up of the new additional e.tv channels branded "+" which, just like when e.tv started 15 years ago, will launch with an initial viewership of zero on 15 October, although the 24 hour schedules will have to be populated and paid for in local content production and licensing fees of international content. e.tv and On Digital Media (ODM) have had discussions to add the four new channels to TopTV which so far has proved fruitless. It's not clear when,or if, the four hew e.tv channels will be added to MultiChoice's DStv platform. eToonz+, eKasi+, eAfrica+ and eMovies+ will go live on 15 October at 17:00 in South Africa on OVHD. "This marks a real breakthrough for e.tv and we are delighted to give our highly valued viewers this multi-channel offering," says Marcel Golding, the CEO of Sabido Investments, e.tv's holding company. "It will expand their choices and afford them control over their viewing experience. The channels will be an authentic platform for the film and television industry kep players to explore the best of what our continent has to offer." Marcel Golding promises that eKasi+, a local content TV channel, will have "a high percentage of new South African TV content, tailor-made to appeal specifically to the inhabitants of South Africa's lively townships". eKasi+ will broadcast shows such as talk show Ek Se (Let's Talk), Number Numba, Kasi My Kasi, Gumba Gumba, Kasi-licious, Shadows and Behind the Gospel. eKasi+ will carry Nguni news at 20:00, as well as soaps, African drama series, African American movies, sitcoms, reality and game shows and will aggressively be going after the same target market as SABC1, as well as M-Net's Mzansi Magic and other "Mzansi" branded channels recently rolled out on MultiChoice's DStv. As TV with Thinus reported earlier this month, Khanyi Mbau and Masechaba Lekalake will both host their own TV talk shows on eKasi+, which will also see stars such as chef Katlego Mlambo and singer Ntombi Mzolo. eMovies+ will run local and international movies, both recent and classic, says e.tv. eMovies+ will broadcast 24 hours per day with various genres including sci-fi, horror, romance, family adventures and golden oldies. eAfrica+ will show Nollywood movies, African news, music, dramas and talk shows. eToonz+ is a dedicated children's channel. "e.tv has matured over the years and has seen a growth in viewership as a result of our ability to provide entertaining programming that promotes diversity," says Monde Twala, the e.tv group head of channels. "Viewers have inspired us to think beyond just having one channel. The aim is to provide viewers with content that inspires, educates and encourages South Africans to be active citizens." The red letter e.tv main channel will meanwhile switch to a high definition (HD) feed from October, although its not clear whether MultiChoice's will upgrade e.tv to e.tv HD on DStv. e.tv will however be seen as an HD channel on OVHD from 15 October on that platform. e.tv says most locally commissioned TV content will be produced and delivered in HD format from October and that more original HD content will be phased in "over a period, across all themed channels". Discovery Networks International's London launch event for new Bear Grylls Escape from Hell TV series, raises alarm as fire fighters rush in. The press launch event for Discovery Networks International's new Bear Grylls show, Escape from Hell which took place on Wednesday evening at the Battersea Power Station in south-west London saw fire fighters rush to the scene after a fire alarm was raised. Bear Grylls: Escape from Hell will start on the Discovery Channel (DStv 121) on 1 October at 20:30 in South Africa along with other survivalist shows as part of "Survival Season" for the month. Bear Grylls: Escape from Hell is being launched in 224 countries by Discovery Networks International. As Bear Grylls rappelled down the side of the Battersea Power Station, flames were projected onto the sides of the building. So realistic were the flames and pyrotechnic explosions which engulfed the landmark power station that it saw a call being put in on Wednesday evening to London's fire brigade which then rushed two fire engines to the scene. The London Fire Brigade criticised the Discovery Channel for the stunt, telling Discovery that "it would be good to let us know so we don't waste our fire engines." Other "Survival Season" programming starting in October on Discovery Channel include Naked and Marooned with Ed Stafford starting on 1 October at 21:30. The former British army captain and explorer undertakes a survival challenge naked by trying to survive on a desert island south-east of Fiji. Car vs Wild will start on 1 October at 22:30 on Discovery Channel in which Gary Humphrey and the American car junkie Bill Wu are dropped into and forced to make their way back to civilisation in just a small red car. Naked & Afraid starts on Tuesday 29 October at 21:30 in which two strangers - one man and one woman, are stranded for 21 days in one of the world's most extreme environments. In December Discovery Channel will have Swimming with Monsters which will start on Tuesday 10 December at 21:30 in which the adventurer Steve Backshall dives with fascinating but deadly animals, including hippos, giant squid and the great white shark. 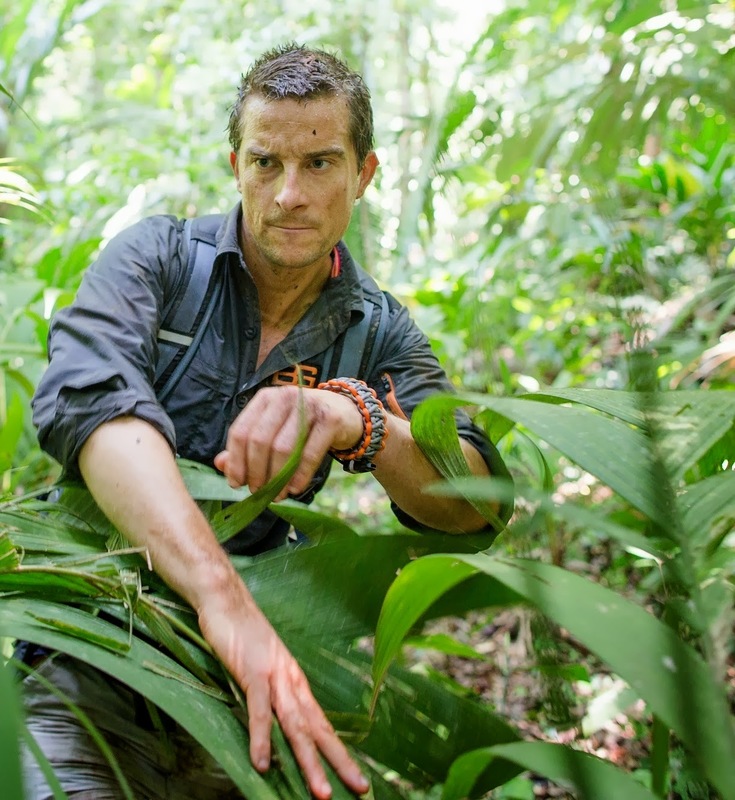 "It is fantastic to have Bear Grylls back on Discovery Channel to lead our Survival programming season," says Lee Hobbs, the channel director for emerging business for Discovery Networks for the Central and Eastern Europe, Middle East and Africa (CEEMEA) region. "He is a true game-changer in the survival genre, integral in shaping it into the programming powerhouse that it is today." "Escape from Hell, along with our other new survival series premiering across the season, are guaranteed to have our audiences at the edge of their seats this October," says Lee Hobbs. E! News on E! Entertainment might expand beyond a daily hour long show with new executive producer Lisa Kridos. E! 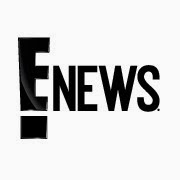 News on E! Entertainment (DStv 124) weekdays at 20:00 (South African time), might expand beyond the daily hour long show the entertainment news show which Giuliana Rancic and Terrence Jenkins is now, with the new executive producer Lisa Kridos. Lisa Kridos has taken over since Bruce Perlmutter left E! News in August. E! News is now recording the day's episode close to broadcasting time to give it a greater sense of urgency, and E! News could in future possibly expand beyond its current hour long format. E! News president Cyndi McClellan says the entertainment news show will remain and retain its "celebrity friendly" feeling. Gretchen Carlson's new weekday show, The Real Story with Gretchen Carlson, starting on Monday on Fox News Channel. Gretchen Carlson's brand-new weekday show on the Fox News Channel (TopTV 405) will start on this coming Monday at 20:00 (South African time) entitled The Real Story with Gretchen Carlson. Gretchen Carlson left the Fox News Channel's Fox & Friends earlier this year to get her own show on the American TV news channel, with Elisabeth Hasselbeck who took her place. The Real Story with Gretchen Carlson will focus on current American events from general news to crime and politics as well as investigative reports. "Gretchen Carlson will interview news makers and lead in-depth panel debates, lending viewers context and perspective on the headlines of the day," says Fox News Channel in a statement. "I am thrilled that Roger Ailes has given me the opportunity to host a signature show for Fox News that will focus on the real stories of the day," says Gretchen Carlson in the statement. The Justice Report on eNCA with Justice Malala has a new desk as it returns to its former studio corner. Of course no word from e.tv but The Justice Report on eNCA (DStv 403) with Justice Malala has a new desk and is back in its own studio after weeks of borrowing the NewsNight desk at eNCA headquarters in Hyde Park. The new studio colours of blue and red of The Justice Report now echo the new logo the show unveiled two months ago when it moved away from the amber browny set and desk. The new The Justice Factor desk sports an obtuse angle with the political commentator and analyst sitting on one side, and guests on the other of the desk rising up with sharp corners on the sides. Connect the World with Becky Anderson on CNN International adds a new, bigger desk with a built-in TV monitor. Connect the World with Becky Anderson on CNN International (DStv 401) on weekdays at 21:30 (South African time) got a new and bigger desk - and one which now incorporates a big TV monitor on the side. The bigger desk in CNN's studio in London replaces the small round desk, and is wedged shaped like a guitar pick or yes, ... Starfleet insignia. Parisa Khosravi appointed as senior vice president of global relations at CNN International. Parisa Khosravi at CNN International has been appointed as senior vice president of global relations, a newly-created position, making her CNN's global brand ambassador of the 24-hour TV news channel. 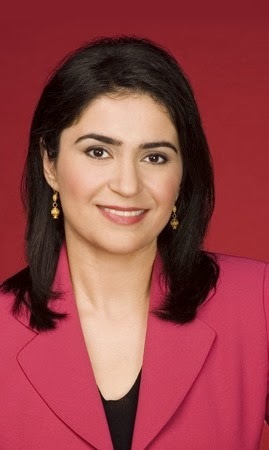 Parisa Khosravi started at CNN in 1987 and has been the senior vice president of international news gathering for CNN Worldwide. In her new position she will continue to report to Tony Maddox, the head of CNN International. "She will be CNN's go-to person for editorial dealings with governments and key players outside the United States, securing key interviews," writes Tony Maddox in an email to CNN staff. 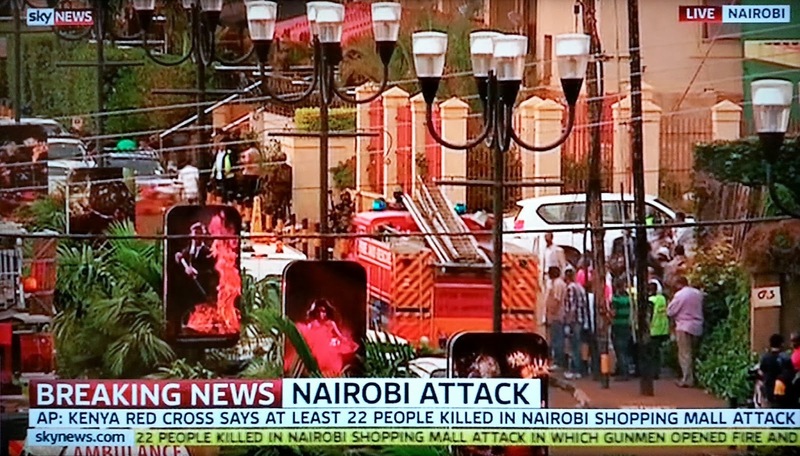 ANN7 covering Kenya Westgate shopping mall shooting: 'There seems to be some technical difficulties,' says presenter after multiple mistakes. ANN7 (DStv 405) remains sadly, laughably, terrible; with the amateur "Gupta News" 24-hour South African TV channel on DStv continuing its eye-rolling, on-air disaster fest such as over the past weekend. 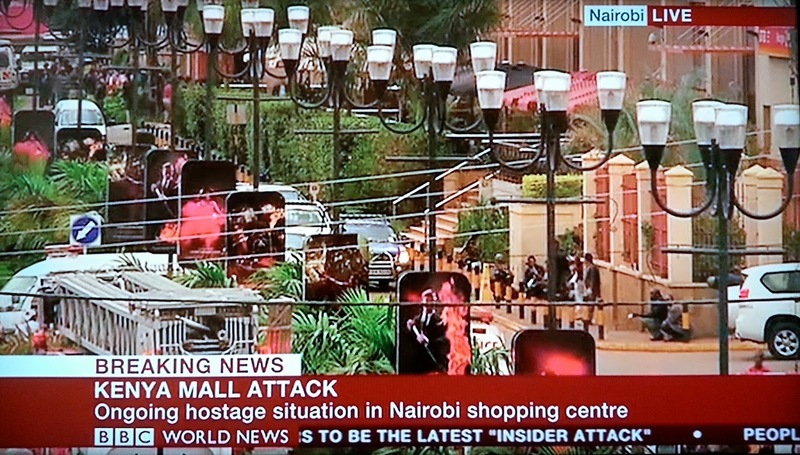 ANN7 was not only late on Saturday to cover the shooting and unfolding hostage drama in the Westgate shopping mall in Nairobi, Kenya, compared to other 24-hour TV news networks, but did this kind of cringe, mistake-riddled broadcasting. Even late night amateur campus radio DJ's are better than what ANN7 shows DStv subscribers - at least radio listeners can't see a presenter deciding to touch her hair when there is so many "technical difficulties" including sound, video, insert, timing and phoner link problems that she doesn't know what to do. 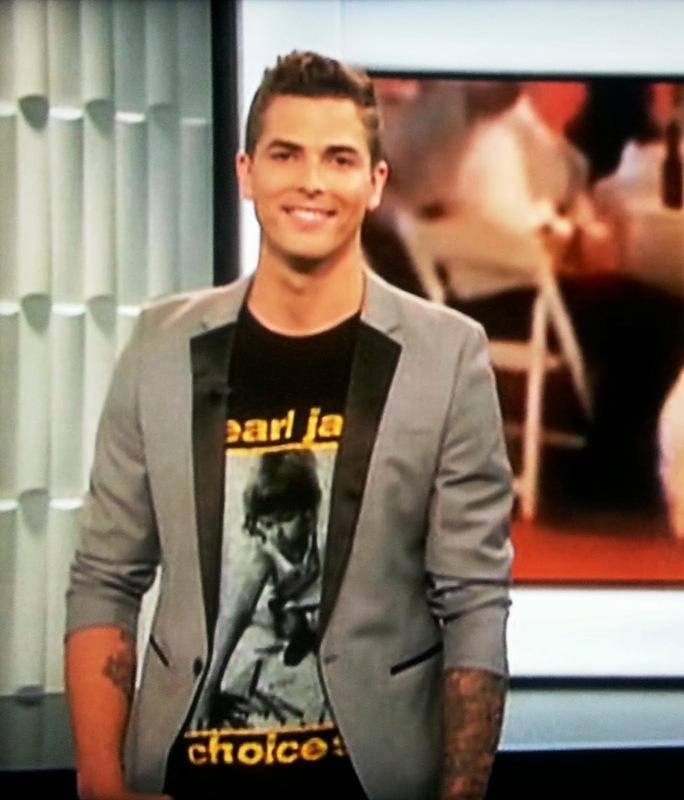 Jesse Giddings makes his first on-air appearance on E! News as the new correspondent for E! Entertainment. 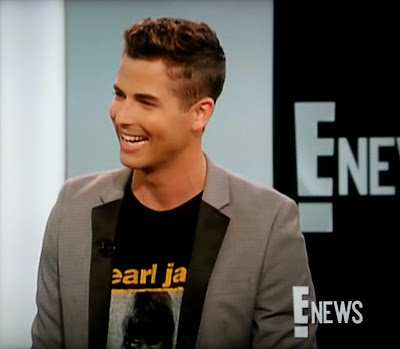 Jesse Giddings (28) made his first on-air appearance on Friday on E! 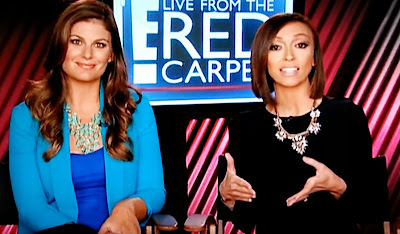 News as the new correspondent for E! Entertainment (DStv 124). Jesse Giddings joins E! Entertainment and E! News from Canada where he was a TV presenter. Giuliana Rancic and Terrence Jenkins officially welcomed Jesse Giddings on Friday evening just before he did his first piece to camera which was his first official day on the job. "Jesse, you from Canada, fresh to Los Angeles, fresh off the airplane. How do you like it?" asked Terrence Jenkins. "Well, I hate the sun and pretty people, so I'm very sure I'm in the wrong place," snarked Jesse Jenkins. "I love it and I'm so honoured to join such an amazing team with all of you." Terrence Jenkins remarked on Jesse Giddings' tattoes visible on the forearms of the former Canadian model who said "it's an ongoing process". E! 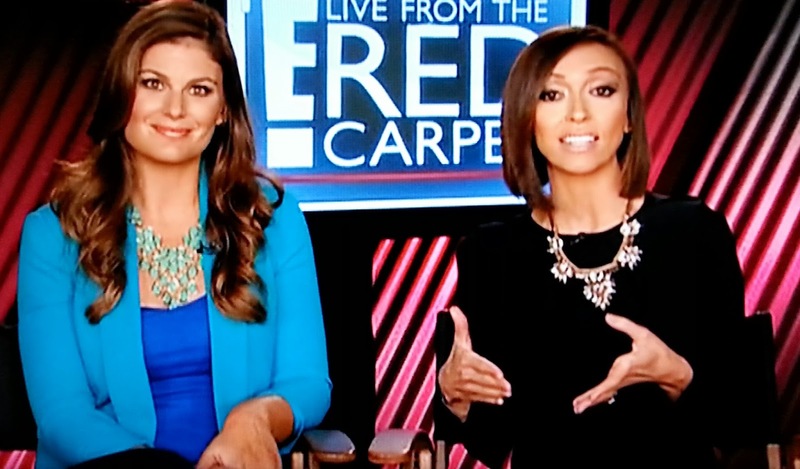 Entertainment covering the 2013 Emmy Awards with pre-awards show coverage in E! Live from the Red Carpet starting at midnight. E! Entertainment (DStv 124) will be doing live red carpet coverage with E! Live from the Red Carpet starting from midnight 00:00 (South African time) on Sunday night in a 2 hour run-up to The 65th Annual Primetime Emmy Awards which will be broadcast live and in high definition (HD) on M-Net (DStv 101) from 02:00 to 04:00 (all South African times). Ryan Seacrest, Giuliana Rancic, Kristin Dos Santos and Jesse Giddings will do E! 's Emmy coverage. The 2 hour block of E! Live from the Red Carpet will restart with a rebroadcast on Monday from 02:00 to 04:00, 04:00 to 06:00, 06:00 to 08:00, 17:00 to 19:00, 21:00 to 23:00. After the special live broadcast, M-Net will show The 65th Annual Primetime Emmy Awards on Monday night starting at 20:30 to 23:30. E! Entertainment has its regular yearly hour long special of Fashion Police looking at Emmy Awards fashion on Wednesday 25 September at 21:00. Hello Ross! with Ross Mathews starting on E! Entertainment tonight at 22:00 as a new talk show on Sundays about Hollywood's pop culture. 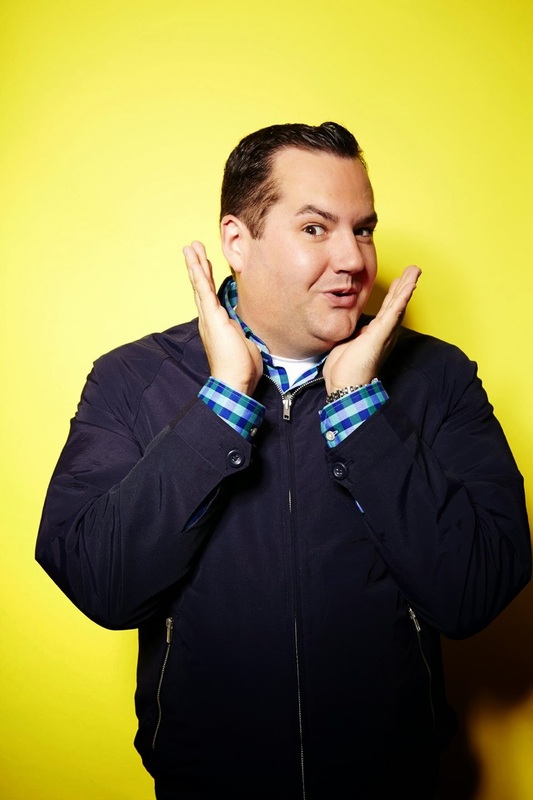 Hello Ross!, a new weekly late night entertainment talk show with Ross Mathews (33) starts tonight on E! Entertainment (DStv 124) in South Africa at 22:00 (South African time). Hello Ross! will run weekly in this Sunday night time slot after it just started on Fridays on E! Entertainment in the United States on 6 September. Hello Ross! celebrates all things pop culture and Hollywood gossip. Ross Mathews, openly gay and known for his trademark high pitched voice, got his talk show try-out as a sit-in for Chelsea Handler earlier this year where he's been one of the panelist. He's also known for his red carpet commentary for E! Entertainment as well. Fox News Channel revamping its schedule from 7 October with new timeslots, new show names for established FOX News anchors. Fox News Channel (TopTV 405) is revamping its line-up from 7 October which would be the American TV news channel's 17th anniversary. On the Record with Greta van Susteren will be moving to 01:00 (South African time), followed by Bill O'Reilly whose The O'Reilly Factor will remain at 02:00 (South African time). Megyn Kelly's brand-new show The Kelly File will start at 03:00 (South African time) and Sean Hannity moves an hour later to 04:00 (South African time) for an hour of Hannity. Then there is Shepard Smith who is becoming the primary breaking news anchor and who is dropping FOX Report and renaming his other show Shepard Smith Reporting. "We've developed a deep bench of engaging and thought-provoking personalities that have grown with FOX News as it has evolved," says Roger Ailes, FOX News chairperson and CEO in a statement. 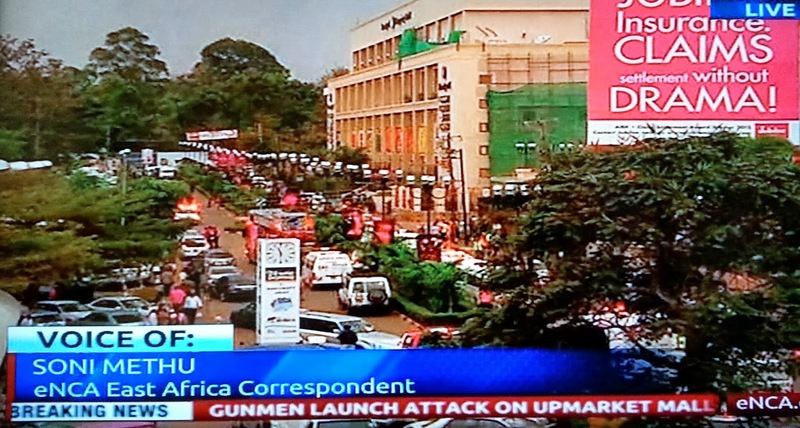 Africa News Network 7 and SABC News channels unable or unwilling to cover developing Kenya hostage situation. It's called Africa News Network 7 (DStv 405) but South African viewers can clearly not expect any live African breaking news coverage or either ANN7 or SABC News (DStv 404), both of which kept with regular stale news broadcasts while BBC World News (DStv 400 / TopTV 400), CNN International (DStv 401), Sky News (DStv 402) and eNCA (DStv 403) instantly gave coverage of the developing hostage drama playing out on Saturday afternoon at the Westgate shopping mall in Nairobi, Kenya. 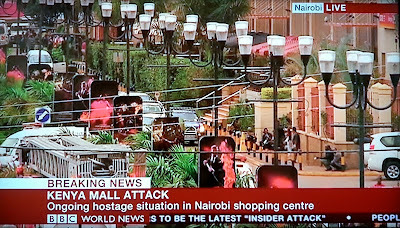 While BBC World News, CNN International, Sky News and eNCA immediately went to reporters and freelance reporters based in Kenya and South Africa for commentary, analysis and live reporting, ANN7 and SABC News instantly showed how unable they are in really are as so-called 24-hour TV channels in South Africa to cover important and developing big news stories in Africa. 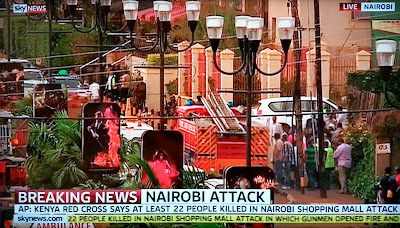 The closest viewers would get to seeing any Kenya hostage drama news on ANN7 would have been to look closely at the TV monitor wall in the background where ANN7 control room personnel watched CNN International and Al Jazeera. SABC News, like ANN7 didn't cover the story at all for hours, as the other TV news channels instantly started to bring news out of Kenya. SABC News started covering the story at 16:30 with a report, but the package didn't want to play after which the news reader also fumbled the numbers of the dead. At 17:00 ANN7 finally kicked in with a terribly done story (and again, as usual, a news reader struggling to read). SABC News at 17:00 lead with a story on taped story on tuberculosis in the Eastern Cape as all the other news channels were covering the stand-off in Kenya. It's embarrassing that Africa News Network 7 and SABC News are African and South African 24-hour TV news networks and come across and look blatantly amateur when non-covering major news events on African soil, when overseas and international TV news channels do - and much better. 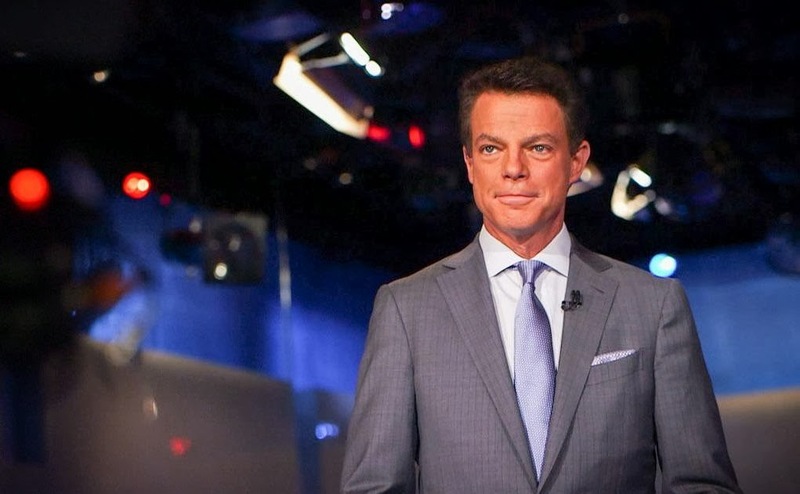 Shepard Smith to become the primary breaking news anchor for Fox News Channel, show changing to Shepard Smith Reporting. Shepard Smith has signed a new deal to remain with the Fox News Channel (TopTV 405) in which he is becoming the primary breaking news anchor for the American TV news channel and in which he is losing his FOX Report with Shepard Smith show, while his show Studio B is changing its name to Shepard Smith Reporting. Fox News Channel is constructing a new set for Shepard Smith Reporting, and Shepard Smith who joined Fox News in 1996 will now become the go-to breaking news anchor for the channel. "The FOX Report with Shepard Smith will be incorporated into a breaking news unit where Shepard Smith will dedicate his anchoring, reporting and presentation acumen as domestic and international events unfold," says the Fox News Channel in a press release. "Additionally, Shepard Smith will continue to anchor Shepard Smith Reporting, a new one-hour program. The show will be housed in a newly constructed signature studio unveiled upon launch, known as The FOX News Deck." "The Deck and Shepard Smith's dedicated team of producers and information specialists will also be able to interrupt all programming as needed at a moment's notice to bring viewers the latest news as it develops." "Shepard Smith's strength in breaking news and on location anchoring and reporting remains unmatched," says Michael Clemente, the executive vice president of news at Fox News Channel. "That's why we are committed to fully utilizing his skills away from the teleprompter whenever and wherever news is breaking across multiple platforms. His new program will provide viewers with the opportunity to become more involved with how news organically develops," says Michael Clemente. Signing off on his last FOX Report with Shepard Smith on 13 September, Shepard Smith said "it's the most exciting new venture of my career". ANN7 tell-all book by Rajesh Sundaram about the highly embarrassing 24-hour South African news channel out by Christmas. A revealing and highly embarrassing tell-all book will be out just before Christmas with insider's details about how the wheels came off at the amateurish and unprofessional ANN7 (DStv 405) - the 24-hour TV news channel nicknamed "GuptaTV" and "Gupta News - written by the ANN7 editor Rajesh Sundaram who fled the television disaster. Rajesh Sundaram is back in Delhi, India and is writing a book, provisionally entitled Indentured. 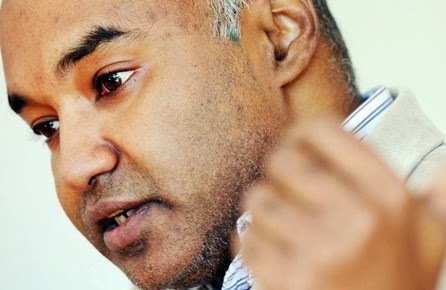 In it Rajesh Sundaram plans to lift the lid on the highly embarrassing ANN7, and the alleged infighting and other operational scrambling which took place in the three months before ANN7 made its disastrous on-air launch in August. Rajesh Sundaram says indentured will be "a factual account of my experience working in South Africa and for the Gupta family. [It] is due for release in December 2013. The publisher will make a formal announcement in a few days." 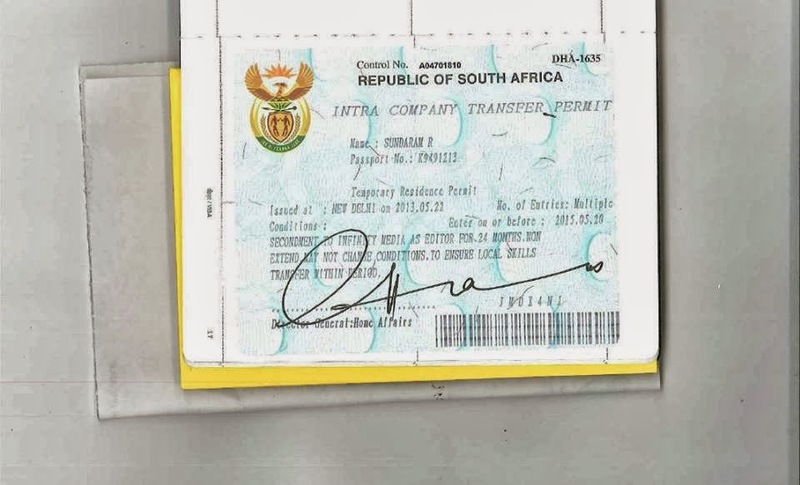 Rajesh Sundaram wants his intra company transfer permit to somehow possibly feature on the cover of Indentured, since he also alleged that some ANN7 workers from India are working illegally at ANN7, having stated "holiday" on their visa applications. ANN7 has president Jacob Zuma son Duduzane Zuma and the politically connected Gupta family as investors in Infinity Media which is the holding company of ANN7. ANN7 has been marred since launch by ongoing, terrible on-air and technical mistakes, as well as ongoing controversies behind the scenes. 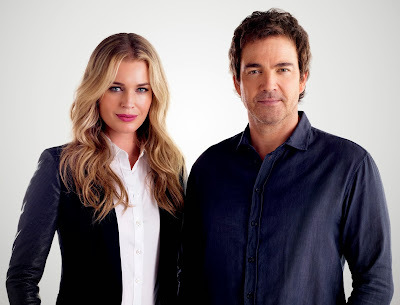 King & Maxwell on M-Net cancelled after just one season; ends on an unresolved cliffhanger. King & Maxwell, the American spy drama on M-Net (DStv 101) has been cancelled after just one season. Bad news for viewers is that it will end on an unresolved cliffhanger. BREAKING. BlackBerry, once the phone South Africa's TV biz couldn't live without, reports $1 billion second quarter loss as a dying brand. Once the phone of choice for TV types and television executives in South Africa, its now all but over for BlackBerry which is a fast dying brand - BlackBerry is firing 4 500 workers or 40% of its global work force, is reporting a nearly $1 billion loss in the second quarter and is reducing its phone models from 6 to just 4. BlackBerry used to once be the phone South African journalists and South Africa's TV industry executives couldn't live without - but it's market share within this group, as within many others, have sharply eroded over the past few years and now nobody wants its phones as it slips further and further into oblivion. The news of the loss, the job slash and the disapponiting sales figures of new BlackBerrys saw trading in the company's shares halted after the share price plunged today. The company let 5 000 workers go last year. BlackBerry used to be the dominant smartphone since it launched in 2007 - primarily because of the easy and mobility of making e-mail accessible - which saw South African TV producers, executives flock to get the phone. Since then BlackBerry's popularity has plunged as it was overshadowed by Apple's iPhone and Android-based rivals like Samsung. Take one look around at TV channel press conferences, media and press events, and cocktail parties where South Africa's TV types, journalists and executives hang out and you'll hardly see a BlackBerry - replaced by iPads, Galaxy Notes and other phones - complete as if executives are going out of their way not to get a BlackBerry when they upgrade cellphone contracts. BREAKING. M-Net secures The Queen Latifah talker; hot new talk show will start on M-Net Series Reality from 21 October on weekdays. M-Net has secured the broadcasting rights to the hot and just started The Queen Latifah Show - Queen Latifah's second try at a daily talk show - and is dumping The Steve Harvey Show on Mzansi Magic to make way for The Queen Latifah Show to start on weekdays on M-Net Series Reality (DStv 114) from 21 October 19:30. 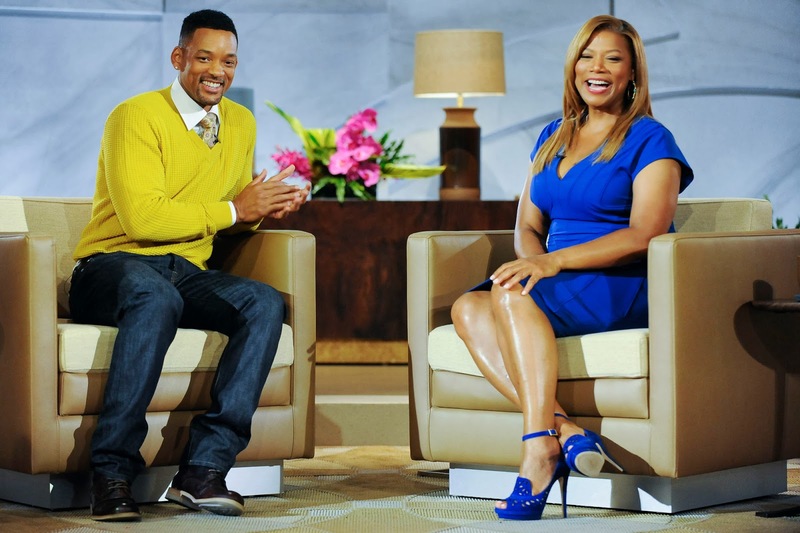 The Queen Latifah Show which started on 16 September, will broadcast on M-Net Series Reality from Mondays to Fridays. Repeats of episodes will be shown at 05:30 and 10:30 on M-Net Series Reality on weekdays, and M-Net Series Reality will also have an omnibus of the week's episodes which will start from Sunday 27 October. For M-Net Series Reality's schedule it means that The Doctors will stay in the 19:30 timeslot until 18 October and will move an hour earlier to 18:30 from 21 October as the lead-in to The Queen Latifah Show. Jeff Probsts will remain in the 18:30 timeslot until 18 October and from 21 October Jeff Probst will move an hour earlier to 17:30. M-Net is dumping The Steve Harvey Show from 1 October from its prime spot on the channel and moving the show from M-Net Series Reality to Mzansi Magic. BREAKING. Oprah Winfrey returning to South African television as TLC channel on DStv is renamed TLC Entertainment. I can break the news and reveal that Oprah Winfrey is returning to South Africa television from October with a dedicated programming block of her Oprah Winfrey Network (OWN), which includes her new talk show Oprah's Next Chapter, on the TLC channel on MultiChoice's DStv which is being renamed TLC Entertainment. This is a story I've been tracking for months, and made specific media enquiries about it last week, this week, and the latest yesterday, and this afternoon the news that Oprah Winfrey programming is coming to South Africa as TLC on MultiChoice's DStv changes to TLC Entertainment. The existing TLC channel will remain on On Digital Media's (ODM) TopTV and won't be changing to TLC Entertainment and also won't contain the Oprah Winfrey programming. The move to make OWN programming available on South Africa on TLC Entertainment follows after Discovery Networks International (DNI) did a similar roll-out earlier this year in the United Kingdom, and also announced the same for Australia. South African viewers will once again be able to watch Oprah Winfrey who is also visiting South Africa in October, when the OWN programming kicks in together with the renaming of the channel from 17 October. 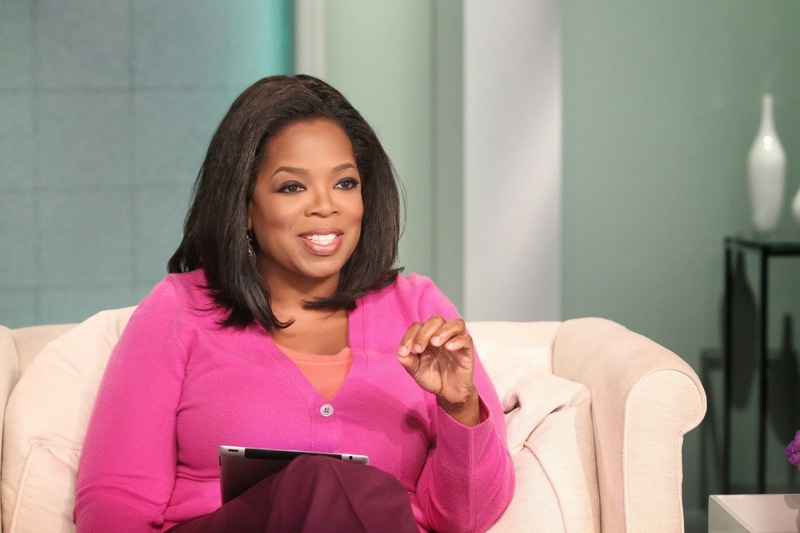 Besides Oprah's Next Chapter, the talk show queen's highly rated new talk show, viewers will also be able to see Oprah Winfrey in programmes such as Oprah's Master Class and Oprah's Lifeclass and Super Soul Sunday. Oprah's Next Chapter with Justin Bieber shown in 2012 on TLC in South Africa on DStv and TopTV was the number one programme on TLC for the year on the channel, while in January the two part interview with Lance Armstrong ranked number one in its timeslot across all channels and became the best ever rated portfolio show in South Africa, achieving a share above 7% with viewers aged 15 and older. OWN programming will be shown in primetime on Thursdays and Sundays on TLC Entertainment on DStv, with repeats during dayparts during the rest of the week. "It's no secret that South Africa and Oprah Winfrey enjoy a mutual affinity - so bringing the block to this special market is the right step," says Luis Silberwasser, the executive vice president and chief content officer for Discovery Networks International. "Building upon the success of the block in the UK and the excitement surrounding its upcoming launch in Australia, we are proud to bring this unique offering to DStv viewers," he says. "Oprah couldn't be more proud and honoured to share her new television programs with South Africa," says Erik Logan, the president of OWN. "This an exciting milestone moment in our continued international expansion." "Securing the OWN programming block is crucial," says James Gibbons, the senior vice president and country manager for Discovery Networks for the Central and Eastern Europe, Middle East and Africa (CEEMEA) region, saying that the rebranded TLC Entertainment "will feature content tailored to suit our loyal viewers" which will make the channel "even more enjoyable and appointment-to-view". Collins Khumalo, the CEO of MultiChoice South Africa is also chiming in with a "Welcome back to Africa, Oprah!" "We have a great partnership with Discovery Networks International that benefits our customers, bringing extraordinary entertainment through their channels. The refreshed TLC Entertainment is yet another example, with the inclusion of the best selection of OWN: Oprah Winfrey Network programmes," says Collins Khumalo. Besides Oprah's Next Chapter viewers will be able to watch Oprah's Master Class in which globally recognised names talk about their successes and failures, Oprah's Lifeclass in which experts give life advice and Super Soul Sunday in which thinkers, visionaries and authors discuss themes such as true happiness, spirituality and personal fulfillment. Discovery Networks International creates a new development fund to kickstart brand-new global TV series and events. Discovery Networks International (DNI) and Discovery Channel in the United States is starting a new global development fund of $500 000 to help kickstart brand-new TV series and landmark events. "In its continued commitment to developing and producing the world’s most ambitious, highest quality programming, Discovery Channel and Discovery Networks International are working in partnership to kickstart the creation of the next big breakthrough programs in science, adventure, history, engineering, natural history and more," says the factual entertainment company in a statement. The Global Landmark Development Fund will invest in the most impressive and daring ideas from the production community around the world. "Discovery Channel is as committed as ever to pushing the boundaries of traditional genres and breaking new grounds in the non-fiction space," says Eileen O’Neill, the group president for Discovery Channel and TLC Networksin the United States. "With a strong focus on our roots in natural history to new explorations of the unknown — like live events including Skywire Live with Nik Wallenda and Space Jump Live – we will continue to provide the unprecedented access to extraordinary people and places that sets us apart from our competition." "This is an exciting challenge for producers to bring us ideas as ambitious and innovative as Planet Earth and North America," says Luis Silberwasser, the executive vice president and chief content officer for Discovery Networks International. "By working on a global scale, we have a unique opportunity to enlist the world's best production companies to make their most ambitious ideas a reality. Discovery programming is renowned worldwide for its excellence and this fund will ensure we continue to reinvent in the masterpieces of which we are so proud." Production companies around the world can now submit their best and most innovative ideas to Andrew Jackson, the executive vice president of production and development for landmark series and specials, Discovery Channel, and Julian Bellamy, the creative director and head of production and development at Discovery Networks International. The American Britdrama Copper on TopTV's FX cancelled after just two seasons. 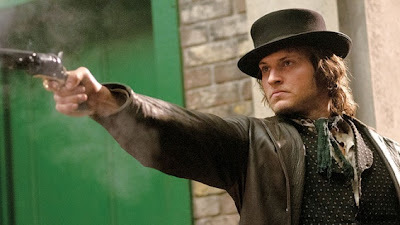 The American Britdrama Copper about an Irish policeman in America in the 1860's which started in October on FX (TopTV 110) has been cancelled after just two seasons. Copper was produced by Cineflix Studios in association with BBC America and Fox International Channels (FIC) showed it on FX on TopTV in South Africa. The period drama series followed Kevin Corcoran (Tom Weston-Jones) in New York trying to solve a family murder. "After 23 episodes, with Lincoln dead and the nation starting to heal, it seems a fitting moment to conclude this American story," says BBC America in a statement. 'They're good enough,' says Eric Kholwane as the flawed new SABC board members's names are bulldozed voted through parliament. "They're good enough," said Eric Kholwane, the chairperson of parliament's portfolio committee on communications, about the skills and experience of the 12 new chosen SABC board members for the beleaguered South African public broadcaster, as the majority led ANC bulldozed the names in a majority vote through parliament's National Assembly today despite huge criticism from all opposition parties. ALSO READ: The new SABC board - Now its the blind leading the blind - literally. ALSO READ: The last chance lost to finally save the SABC as ANC majority parliament choose wholly inadequate members for the SABC's 5th board in 5 years. All opposition parties want to know why the best people out of the available candidates and nominations can't be chosen by parliament and president Jacob Zuma to try and save the severely damaged and extremely crippled SABC which has been mired in disfunction since 2008. The new 12 member SABC board will replace the temporary interim SABC board whose tenure will end at the end of this month and who were put in place, also through an emergency steamroller parliamentary session, a few months ago following the mass resignation of the entire SABC board. This will be the sinking SABC's 5th SABC board in 5 years and parliament's portfolio committee on communications chose not the best people to try and right the SABC but ANC cadres chosen and employed because of political party loyalty instead of actual deep broadcasting experience and know-how. "We deliver as a ruling party,'' said Eric Kholwane. "The new SABC board reflects the kind of patriotism needed to drive our country forward." 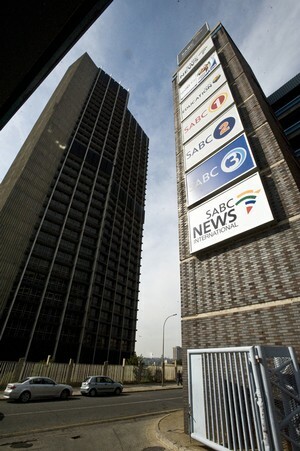 The Congress of the People (COPE), Inkatha Freedom Party (IFP) and the Democratic Alliance (DA) all opposed the 12 new SABC board member names, which forced a vote in the National Assembly today. The ANC steamrollered it through with 203 votes against 78. COPE member of parliament Juli Killian says the ANC refused point blank to accept even one name supported by any opposition party for the new SABC board. The DA member of parliament Marian Shinn said the new SABC board is a betrayal to South Africans. "The SABc board does not represent the best choice of appropriate skills available". She said that control of the SABC was handed over to the SABC and that it a huge concern that SABC board members were not chosen from across a broad cross-section of South Africa. The IFP member of parliament Liezel van der Merwe said "it's now uncertain whether the SABC sinking ship can be rescued". The 12 names voted on in the National Assembly today will go as usual to president Jacob Zuma's desk where he will simply rubber-stamp it and make the new board names legal. The new SABC board will be Ellen Tshabalala who is the current interim SABC chairperson, Noluthando Gosa as the current deputy chairperson and who was on the SABC board before before she resigned, and Vusumuzi Mavuso who was also on the SABC board before. The SABC board will also consist out of Ronnie Lubisi, Thembinkosi Bonakele, Rachel Kalidass, Nomvuyo Mhlakaza, Bongani Khumalo, Mbulaheni Obert Maguvhe, Krish Naidoo, Aaron Tshidzumba and Hope Zinde. "What you want with the SABC board - because the SABC is supposed to represents all of us, is that you would have preferred a more consensus way of operating where all of the political parties have more of a say," says Kate Skinner, a broadcasting policy researcher. BREAKING. Platco Digital suddenly coy, mysterious over OpenView HD and SABC channels as public fight over channel carriage erupts. Platco Digital now refuses to answer whether the Sabido Investments division which plans to launch its new OpenView HD direct-to-home satellite service on 15 October has a signed carriage agreement with the SABC to broadcast SABC1, SABC2 and SABC3 as TV channels on the platform after the SABC accused Platco Digital of lying to the press and the public about having SABC channels on its bouquet. A defiant Platco Digital which so far isn't answering specific media questions put to to the company after it heartily talked to the press yesterday announcing that the SABC's 3 TV channels are part of the launch bouquet, is now saying in a terse and mysterious statement that Platco Digital will "be carrying SABC1, SABC2 and SABC3 from the launch date". The surprising fight between the yet-to launch OpenView HD and the SABC erupted after Platco Digital's managing director, Maxwell Nonge told the press that the satellite service costing R1 600 will launch on 15 October with 16 TV channels of which the SABC's SABC1, SABC2 and SABC3 form part. Platco Digital running OpenView HD is a sister company to e.tv which plans to broadcast four new e.tv channels, eKasi+, eToonz+, eMovies+ and eAfrica+, as part of yesterday's announced channel line-up which Maxwell Nonge said includes the SABC's channels. Platco Digital in a terse statement in response to specific questions in a media enquiry, now only says the SABC can't prevent Platco Digital from broadcasting SABC1, SABC2 and SABC3 on OpenView HD and that Platco Digital will go ahead with the inclusion of the channels from launch. "The SABC as the public broadcaster has various obligations and any attempts by the SABC to prevent Platco from carrying the SABC channels would be unlawful," says Platco Digital. TV channels on Platco Digital's OpenView HD have to pay Platco Digital in carriage deals. Platco Digital says TV channels then get a wider reach and audience and can charge more for advertising. 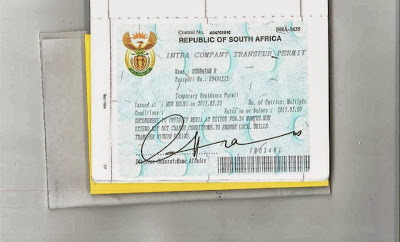 The Independent Communication Authority of South Africa (Icasa) told TV with Thinus today that the so-called "must carry" regulations whereby a platform such as Platco Digital would just get the SABC channels for free because it has to carry them, doesn't apply. OpenView HD is a free satellite service and the "must carry" regulations for public TV channels under analogue broadcasting regulations only apply to pay-TV or subscription-based satellite television services such as the SABC channels being included on MultiChoice's DStv and On Digital Media's TopTV. Platco Digital did offer a discount rate to the SABC for the public broadcaster's channels to be available on OpenView HD, but the SABC balked at paying. Platco Digital so far refuses to say whether it has a contract and signed carriage agreement with the SABC. Platco Digital so far refuses to say whether Platco had a carriage agreement signed before it made the public announcement yesterday to the press that the SABC channels will be on OpenView HD. Platco says "the SABC has obligations" but isn't explaining what that means. Platco says attempt by the SABC to prevent Platco from carrying the SABC channels on OpenView HD would be unlawful, but refuses to elaborate and explain what Platco means by that. Why does Platco want to carry the SABC's TV channels if the SABC is clearly not in favour of it, and if it is clear to Platco now that the SABC doesn't want to be in business with it? BREAKING. FOX Crime channel grabs the new crime police drama Low Winter Sun starting on 6 October at 21:25. FOX International Channels (FIC) has grabbed the new police drama Low Winter Sun for FOX Crime (DStv 126), which will start on Sunday 6 October at 21:25. The first season of Low Winter Sun with 10 episodes follows closely on the heels of the drama which started on 11 August in the United States and which is based on the 2006 British two-part mini-series of the same name. 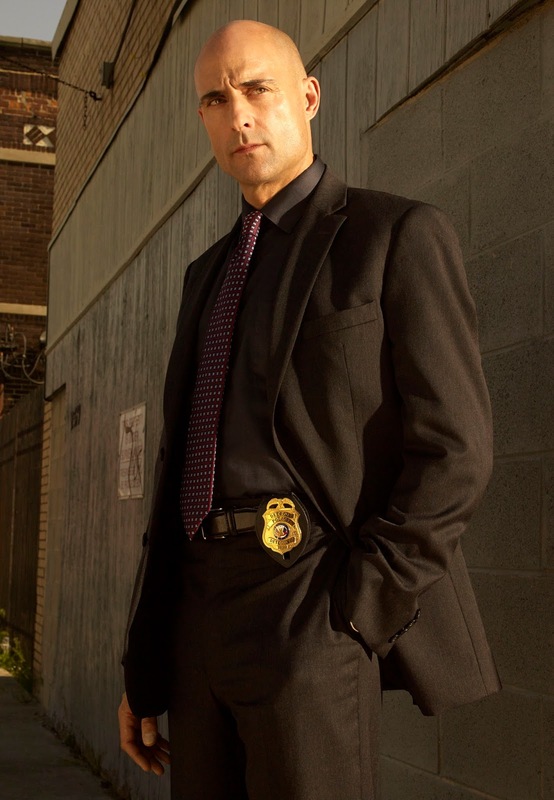 In Low Winter Sun Frank Agnew (Mark Strong) is a Detroit detective who commits a murder of a fellow police officer after the death of his girlfriend. This murder then pulls him into the heart of Detroit's underworld. Thandi Davids, FOX Africa director says FOX Crime "is a perfect fit for this series". Low Winter Sun was filmed on location in Detroit. Discovery Channel will broadcast Inside Raising Concordia in December, capturing the most expensive salvage operation ever. Discovery Channel (DStv 121) will broadcast Inside Raising Concordia in December in South Africa in December as a TV special on DStv, as cameras from the factual entertainment channel captured the most expensive and daunting salvage operation of a boat at sea ever attempted. 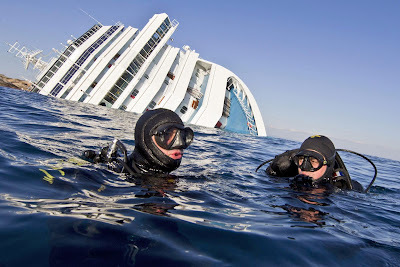 The large cruise ship Costa Concordia ran aground on 13 January 2012 with the hulking vessel which remained where it first capsized and where 32 people died, until earlier this week when a massive recover attempt and salvage operation took place. Discovery Channel returned to the scene of the shipwreck with Inside Raising Concordia to capture the massive undertaking and to reveal the inside story as told by the elite team of engineers tasked with the almost impossible operation - to rotate the massive ship into an upright position and to remove it from the sea. Inside Raising Concordia will be shown in 220 countries and territories in December as a one hour TV special. It will show how engineers prepared for the job which included building colossal barges complete with a hospital, gym and living quarters for the hundreds of divers and specialists working on site. It will also reveal the step-by-step process involved with pulling the ship upright - a process known as "parbuckling" before the ship is refloated and towed away to be scrapped. Inside Raising Concordia will include insiders' accounts of what exactly happened in one of the cruise line industry's biggest disasters. 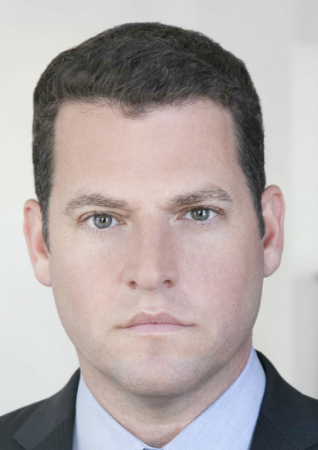 David Levine the new vice president for the EMEA region for Disney Channels for programming and strategic development. David Levine has been appointed the vice president for programming, production and strategic development for the Disney Channels for the Europe, Middle East and Africa (Africa). David Levine who was the vice president and general manager of Disney XD Worldwide, is now moving from Los Angeles to London to look after Disney Channels for the wider EMEA region. David Levine will be looking after all aspects of programming and strategy of the Disney channels for the EMEA region, including the development of original shows, co-production as well as acquisitions. David Levine's appointment and move comes after Patricia Hidalgo left Disney EMEA earlier this year. Trace Sport Stars channel adds Battle of the Bling daily from October at 21:00, comparing the wealth and power of soccer players. Trace Sport Stars (DStv 188) is adding Battle of the Bling from October with a new episode every night at 21:00. Battle of the Bling will look at and compare the wealth, power and influence in humorous comparisons of the soccer world's biggest stars against those of the entertainment world. In Battle of the Bling viewers will be able to find out whether David Beckham for instance is richer than P. Diddy or if Lil Wayne has more influence than Mario Balotelli. Are rappers or soccer players the real rulers of the world? BREAKING. SABC accuses Platco Digital and OpenView HD of lies, says the SABC TV channels will NOT be available on OpenView HD. Drama and controversy just erupted with the SABC accusing Platco Digital and OpenView HD, the new direct-to-home (DTH) satellite TV upstart, of misleading the public and of telling blatant lies, and with the SABC now saying the SABC's TV channels will not be available on OpenView HD and demanding that OpenView HD immediately withdraw the false and misleading statements. Platco Digital's managing director, Maxwell Nonge, a division within the holding company Sabido Investments, told the South African press that OpenView HD will launch on 15 October with 16 TV channels including the SABC's SABC1, SABC2 and SABC3. TV channels have to sign carriage agreements and have to pay to be available on OpenView HD for which people will have to pay R1 600 for a satellite dish and a decoder after which they will get the TV signals for free. Platco Digital says OpenView HD makes its money from the TV channels, who in turn generate their money from advertising revenue. In a strongly worded statement the SABC says OpenView HD is lying with false claims that OpenView HD will be carrying SABC1, SABC2 and SABC3 on the bouquet of channels and that the announcement "that SABC television channels will form part of their bouquet is not true". The SABC says the public broadcaster "does not have any agreement with the newly launched satellite television service" and sees the false claims "in a serious light, as OpenView HD is misleading the public". The SABC says its reached its own agreement for the SABC's channels to be carried on Sentech's new DTH satellite platform Freeview from the end of September 2013, saying OpenView HD needs to immediately stop "confusing the public with false advertising of their services". "We will not allow anyone to use the SABC's name falsely to advance their business interests," says Hlaudi Motsoeneng, the SABC's acting chief operating officer (COO). Platco Digital and OpenView HD didn't immediately respond to media enquiries seeking comment as to why it annouced the SABC channels as part of the bouquet, and whether Platco Digital has valid carriage agreements for the SABC channels on OpenView HD. UPDATED 19 September 17:00 - Platco Digital is now responding, but not with answers to specific questions in a media enquiry, but with a very coy and mysterious and terse statement, saying defiantly that it will go ahead and include the SABC's 3 TV channels at launch in October, refusing to say whether it has a signed carriage agreement and saying the SABC has obligations and would act unlawfully as a public broadcaster by witholding its channels. The blind leading the blind - literally - with the new SABC board, as massive fraud is perpetrated against the South African viewer. The beleaguered, struggling and ongoing public embarrassement which is the SABC will not get better. Massive public fraud is being perpetrated against every single South African TV viewer who are forced to pay a TV licence in this country and who are being let down by vindictive, clueless, arrogant, selfish, party loyal politician trash who blatantly choose wrong SABC board members just as long as their political party is happy and it serves their interests. Elected government officials deliberately chose NOT the best candidates with broadcasting experience and public broadcasting expertise to serve on the new SABC board but party loyal incompetent cadres who knows of broadcasting nothing or little, and will most likely continue to wreck the sinking bedlam broadcaster further. The sheer audacity of trash politicians, tasked with oversight of the SABC but clearly clueless or blatantly unwilling to learn from the past and to educate themselves and to serve the public and the viewing public in South Africa, tactless and in a tacky way, voted their trash friends onto the board of a crumbling institution. Meanwhile the SABC is in desperate need for help - not haplessness. Parliament's National Assembly will today get the names of the new SABC board - the SABC's 5th board in 5 years. The National Assembly always rubber stamps it, then it goes to president Jacob Zuma who also just rubber stamps the political appointments. The SABC board will now have its very first blind person. The SABC board will again not have a single Afrikaans speaking person looking after the interests of this broad cross section of the South African population (just as in previous SABC boards) despite it being the third largest grouping in South Africa. The SABC board will again not have people who have served many years as broadcasters or in a real broadcasting environment and with broadcasting expertise. The SABC is on life support. Organs are failing. Transplants and resusitation is critically needed. Yet instead of a group of highly skilled, highly informed specialist doctors, the South African government, South Africa's parliament and South Africa's president Jacob Zuma sees no problem to send the sick patient on the verge of death only more orderlies - and orderlies who previously balked, bailed, resigned and ran away as previous SABC board members because they didn't want to do it anymore, but who now gain sit on the cushy comfy seats in the SABC's Auckland Park boardroom. Sadly there are specialist doctors - people like the Kate Skinners and William Gumedes - who show up at the door and who are willing to help fix the SABC - but who are turned away by parliament's ANC led portfolio committee on communications who make the wrong choices and vote for the wrong people as far as public broadcasting interests in South Africa are concerned. The disastrous decisions and votes by South Africa's parliament to bulldoze through a new SABC board now makes the South African government directly complicit in the ongoing, massive failure of the SABC. Parliament's portfolio committee on communications - tasked with oversight of the once proud broadcasting institution and to help it - is directly abetting its ongoing struggle by deliberately choosing not to place the best possible candidates in charge as members of the SABC board. It's highly likely, given the history, that this latest extremely foolish, incredibly sad and publicly fraudulent decision which is not in the best interest of the South African viewing public, will once again come back to haunt everyone compelled to pay a SABC TV licence.